The show is suitable for children from 2 to 8 years old and can be expanded or contracted according to age. With most of the games I use, the emphasis of the games is not a competitive one, but rather one that stimulates their imagination , creativity and ability to play in a group. 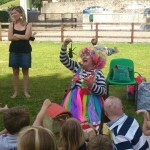 Anna Bananas offers a wide range of kids entertainment such as; a great fun clown show, unique kids party games, a mini puppet/magic show for very young children, face painting, balloon modeling, parachute games, live music and dancing. All events can be tailored for your needs. At Children’s birthday parties and other events I usually entertain for either one hour, or an hour and a half, and occasionally for two hours. The Anna Bananas Clown show. The Mini puppet show (suitable for the under sixes). When booking this option it is advisable to invite your guests to arrive before the entertainer arrives, to maximize the experience for everyone. 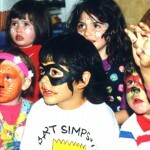 This option offers the children a fuller experience of the above, where by the party is divided into two different time slots of 45 minutes each, with a 15 minute break for party food in the middle, and with the birthday cake served at the end of the second period 15 minutes before the end of the party. The first part of the party is energetic and very lively for the children with a great mix of fun kid’s party games, and after 45 minutes of playing, they are well ready for party food! The second part of the party lasts 45 minutes and is the entertainment with the Anna Bananas Clown show and Mini Puppet Show. Bigger variety of kids party games, lots and lots of great fun! 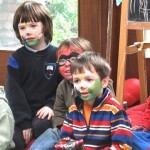 It can be nice thing to include face painting at parties or events where there is a mix of age groups and other things happening, such a bouncy castle, particularly for the younger age group if the bouncy castle gets to boisterous! possible to organize games and face paint simultaneously! With this option I break the party into two different one hour periods, starting with games and face painting, then factoring in a break for food of 15 minutes , followed by the entertainment with the Clown Show, Mini Puppet Show and live music, plus parachute games where space/weather permits. At the end of this period I think it is a good time to serve the birthday cake as it is a nice way to finish the party and focus entirely on the birthday person in a celebratory way! I have a range of prices depending on what I do, please contact me at 087 9133288 or or email me at anna@kidsentertainment.ie to enquire about costs, week day special offers and recent price reductions. 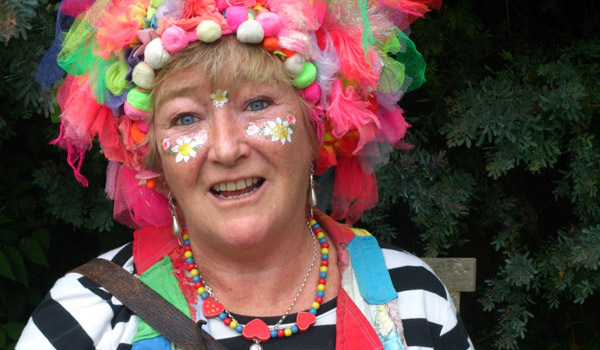 Prior to working as a clown I worked as the childcare worker at the Parents Alone Resource Centre in Coolock, Dublin where I was responsible for all activities for the children, including a preschool facility, an after school play club and all the summer camp activities. I use a wide variety of kids party games, usually starting off the party with some high energy musically based, interactive games, with tasks to do within the games to keep them interesting and fun.mWith most of the games I use, the emphasis of the games is not a competitive one, but rather one that stimulates their imagination , creativity and ability to play in a group. 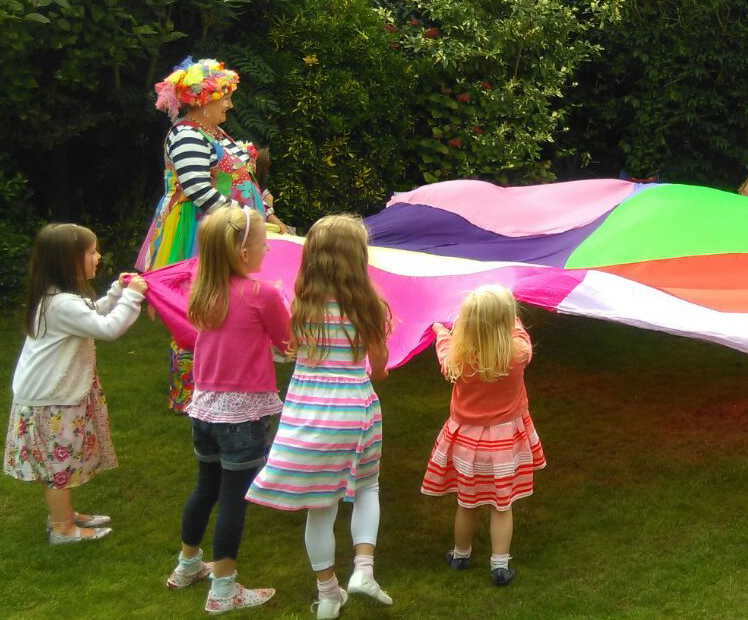 For kids birthday parties and events there are different entertainment options available. 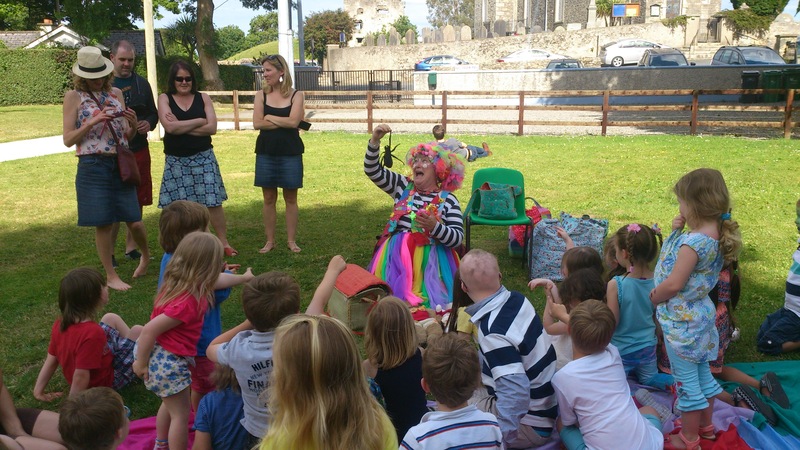 The entertainment is suitable for children between 2- 9 years old and all options can be tailored to suit the needs of the age group/s, venue, event or weather.